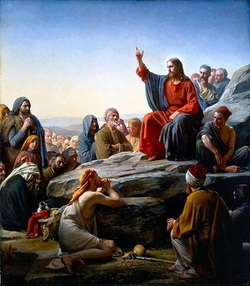 The prophecy by Jesus Christ during the Olivet discourse wherein he unequivocally told the people of his generation that his second coming would occur before they had all perished is often used by liberal skeptics and atheists to discredit not only the deity of Jesus Christ, but also the claims that the Bible is inerrant, infallible, and indisputable. And who do they often cite as evidence for their skepticism? Such notables as the esteemed Bible scholar C.S. Lewis. Let’s examine the savior’s claims in the light of scripture and see who was lying, Christ or his critics? Although Jesus did not know the “day and hour” of his return (Matt. 24:36), he knew it would take place before his generation had expired (v. 34). This clearly precludes two millennia or even a single century. In other words, the Second Coming of Christ must be an event in the past. This emphatic statement leaves no room for a long delay. It would certainly not have taken 2,000 years to reach the towns of Israel. Moreover, most of those towns had been destroyed by A.D. 70. So, Christ’s return must have occurred by that time. Earl D. Radmacher, Ronald Barclay Allen and H. Wayne House, Nelson’s New Illustrated Bible Commentary (Nashville: T. Nelson Publishers, 1999), Matt. 10:23. Robert B. Hughes and J. Carl Laney, Tyndale Concise Bible Commentary (Wheaton: Tyndale House Publishers, 2001), 412. The very disciples to whom Jesus was speaking would see “all these things.” They were to regard them as signs that Jesus was “at the very gates.” The temple was destroyed in A.D. 70. Therefore, the rest of “these things” would have taken place at the same time. They included the preaching of the gospel “throughout the whole world (the Holy Roman Empire, not the spherical earth)” (v. 14), the appearance of “the abomination of desolation” (v. 15), “the Son of Man coming on the clouds of heaven” (v. 30) and the gathering of “his elect” (v. 31). NLT Study Bible (Carol Stream: Tyndale House Publishers, Inc., 2008), Luke 21:32. C. S. Lewis, The World’s Last Night and Other Essays (New York: Harcourt Brace & Company, 1973), 98. NLT Study Bible, Luke 21:5-38. William MacDonald and Arthur Farstad, Believer’s Bible Commentary (Nashville: Thomas Nelson, 1997, c1995), Rev. 1:3; 22:10. Nelson’s New Illustrated Bible Commentary, Rev. 22:10. Conclusion: Clearly, Jesus did predict a first-century second coming and fulfilled it exactly as he promised to his disciples and 1st century contemporaries. Objection: You have applied “this generation” in Matt. 24:34 to the first century. Most modern prophecy teachers interpret this differently. Some say it refers to the generation alive at the time of Christ’s future return. Others say the Greek word γενεά (genea) can also mean race, suggesting the Jewish race will still be in existence when Jesus returns. Answer: Really? So when Christ promised those people living at that time that all the events of the Olivet prophecy would be fulfilled before they were all dead, he was really secretly speaking to Bible prophecy preachers some 2000 years later? And if the word “generation” in that verse is referring to only the Jewish race, why then does it clearly mean (the current generation of people alive at that time) every single place it’s mentioned throughout the entire Bible, except in Matthew 24:34? The only interpretation worthy of consideration is the one taught in Scripture by Christ’s “holy apostles” (Eph. 3:5) who together with the prophets are the foundation of the Church of God (Eph. 2:19b-20; Rev. 21:14). Without exception, they understood Christ’s predictions to mean the Second Coming and all related events would occur within their lifetime; their generation. The Holy Spirit inspired this interpretation! Those promoting other interpretations attack the very foundation of the Church, deny the work of the Holy Spirit and according to Jesus and Paul, could be in danger of eternal condemnation (Mark 3:28-29; Gal. 1:8-9, 12). In Matthew, generation is used particularly for contemporary, unbelieving Jews, especially focusing on the leaders who have led people away from the Messiah (Matt. 11:16; 12:39, 41–42, 45; 16:4; 23:36) —NLT Study Bible, Matt. 24:34. Edward E. Hindson and Woodrow Michael Kroll, KJV Bible Commentary (Nashville: Thomas Nelson, 1997, c1994), 1949. The Eerdmans Bible Commentary (Grand Rapids: Wm. B. Eerdmans Publishing Co., 1987), 846. How could the Jews not be in existence at the return of Christ? They were the very people to whom Jesus was returning; to destroy some (Luke 21:22) and reward others (v. 28). Why would anyone ever make such an unnecessary statement as “Truly I say to you, you will still be in existence when I reappear to you?” Clearly, the “Jewish race” argument is beyond just weak; it is absurd. Objection: You suggest the gospel was preached to the whole world by A.D. 70. That is impossible. Answer: Actually, it was preached to the whole world (Holy Roman Empire) by A.D. 57. Paul declared it as much in Romans 16:26. Objection: Granted, Rev. 1:3 and 22:10 say, “the time is near.” However, this phrase should not be taken literally. Peter said, “with the Lord one day is as a thousand years, and a thousand years as one day.” (2 Pet. 3:8). God does not count time the way we do. Answer: Over 600 years before Revelation was written, Daniel’s vision was sealed because the events predicted would not occur for a long time: “the words are shut up and sealed until the time of the end” (Dan. 12:9). However, in Revelation, the prophecy was not sealed because the time for its fulfillment was near (Rev. 22:10). Such clear examples of seals being used to signify timing must be acknowledged no matter how we choose to interpret 2 Pet. 3:8. Otherwise, the obvious symbolism would be rendered meaningless (sealed means a long time, unsealed means a short time). If Peter intended to imply that any reference to nearness could actually mean 1,000 years, why did he claim, “the end of all things is at hand” (1 Pet. 4:7)? How could he have written with such confidence if he considered the timing to be so hopelessly unknowable? Moreover, why would any of God’s time-restricted predictions have been made at all if they meant something no one could understand? God may as well have kept them to himself for all the assurance such predictions might offer anyone on Earth. No, God was speaking in terms we understand. The 1,000-year hypothesis sounds appealing only to futurists so desperate to neutralize Rev. 1:3 and 22:10 that they will accept just about anything that allows them to preserve their hypothetical theory. Often, the same people claiming 2 Pet. 3:8 shows God counts time differently than we do will argue passionately the six days of creation were literal days: “And there was evening and there was morning, the first day” (Gen. 1:5b). Apparently, God counts time exactly the same way we do even though, as Peter noted, he has a long-term perspective. Contrast these instructions with those of Daniel 12:4. In Daniel the time was far off; here it is near —KJV Bible Commentary, 2719. Answer: Lewis took this preposterous position because, although he was honest enough to admit a first-century return was predicted, like many others, he evidently failed to consider the possibility it may have actually come to pass. At least three times, Jesus prefaced a prediction of a first-century return with the emphatic phrase “truly, I say to you” (Matt. 10:23; 16:28; 24:34). If he was wrong, then he was a false prophet worthy of death. Ironically, Lewis unwittingly provided justification for Christ’s crucifixion. Jeremiah was referring to the false prophet Hananiah who was killed by God for making a time-restricted false prediction (Jer. 28:1-17). If Christ so miserably failed in his prophecies and predictions of the first century, what normal person would trust him for a future fulfillment or even salvation for that matter? There is only one acceptable conclusion: Jesus Christ was absolutely right, not wrong! Otherwise, he was a false prophet to be counted with the “liars” and “fools” deserving execution. If he was wrong, we believers are wasting our time studying his unreliable predictions in the supposed “inerrant” or “infallible” Word of God.